Who is up to some adventure this summer, should play Unsolved Mystery Club: Ancient Astronauts. The game is full of different challenging tasks to accomplish in very beautiful and picturesque locations. 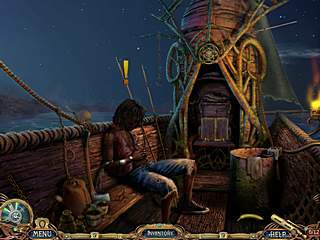 All the hidden object/adventure fans, you don't want to miss this one. The game is full of things to help you with all the challenges. You play as an agent who got a special assignment to find five missing members of the unsolved mysteries club. Each one of them was exploring the information about some extraterrestrial visitors. Even though the game offers two modes of different difficulty levels, neither one is actually that easy. That should make the more experienced say "yay!". Those new to the genre will enjoy the game too. The game is full of things to help you with all the challenges. For one, there are hints for the hidden object searches. Then there is also a special Help button on the bottom of the screen. Honestly it is not very helpful most of the time, plus the help is limited in there. Usually it just tells you what you are to finish in the location you are in. But the problem is that most of the time you know those things, it is how to do that is the real challenge. For those who are still lost as to what to do next, there is a strategy guide available right in your inventory. It is very clear and very helpful. 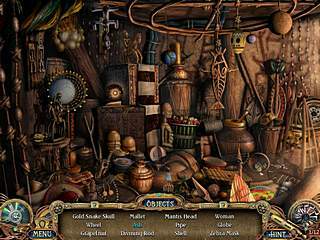 As you must have understood by now there are hidden object levels, iteractive searches that are fun and very addictive, and also many different puzzles along the way. 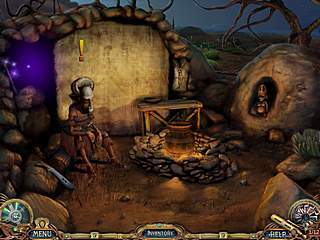 The audio-visual presentation of the game is very impressive and detailed with voice-overs. The game is definitely a must for the genre gurus. Gosh, I wish I would have had that inoframtion earlier! This is Unsolved Mystery Club: Ancient Astronauts review. Download this game here.